The governor of Oklahoma, Gov. Kevin Stitt, has signed into law medical cannabis industry regulations. Oh Thursday March 14, a “unity bill” was signed by the Republican Governor. Rules contained in the measure are not expected to hinder the growth of Oklahoma’s cannabis market. The measure to legalize adult-use cannabis in Oklahoma flew through the state House and Senate with a strong show of bipartisan support. What is included in Oklahoma’s bill to legalize adult-use cannabis? Included in the measure are a number of guidelines pertaining to cannabis advertising, packaging and labeling, testing and tracking, inventory, and much more. In addition to this, Oklahoma’s draft cannabis legislation would entitle the employers of “safety-sensitive jobs” to fire consumers of medical cannabis in the event that the employee tests positive for weed. Products must be tested for terpenoid potency, cannabinoid potency, heavy metals and pesticides. Cannabis producers are forbidden from using any image on their packaging that is not related to their business. Cannabis producers must display a universal THC symbol, the potency of THC and the level contained in the product. Proof of contaminant testing must be displayed on the product in the form of a statement. The State of Oklahoma will utilize a seed-to-sale tracking system that monitors sales information, inventory details, batch numbers and product types. These regulations have emerged amidst the fast rollout of Oklahoma’s cannabis market. Voters rejoiced in June of last year when the plant was officially legalized. However, the launch of Oklahoma’s cannabis market didn’t occur until January 2019. By the end of February, sales topped $7.2 million. As of March 11, 1,972 cannabis cultivators, 1,109 dispensaries, and 553 processors have received approved licenses from state regulators. A total of 63,647 have qualified for medical cannabis under Oklahoma’s program. Cannabis in Oklahoma is now legal for medicinal purposes, so long as the consumer owns a license and has a doctor recommendation. The state governor signed HB 2154 in April of 2015. This effectively legalized the sale of CBD oil, so long as it contains no more than .3 percent of the psychoactive cannabinoid THC (tetrahydrocannabinol). A little over three years later, Oklahoma became the 30th state to legalize medical cannabis, when voters approved State Question 788 on June 26, 2018. Unlike most states, whereby the typical legislative process leads to the approval of such a measure, Oklahoma’s medical cannabis industry was triggered by popular vote during a primary election in State Question (SQ) 788. 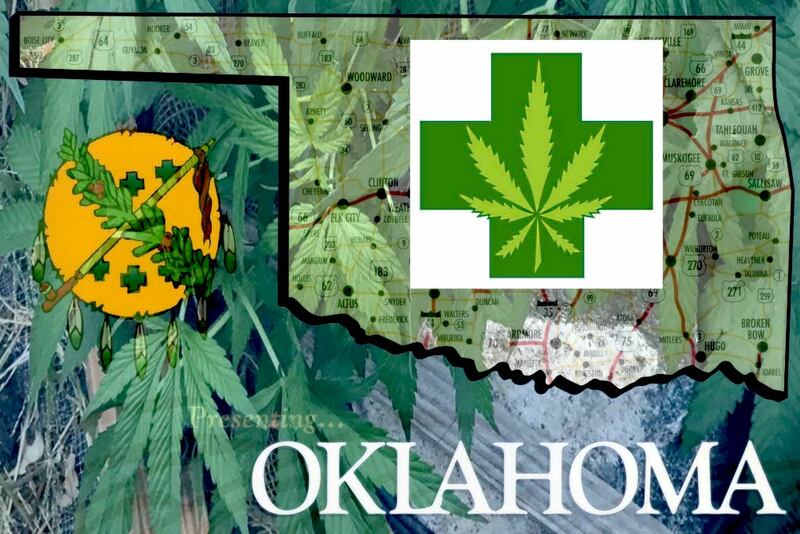 The industry is overseen by the Oklahoma Medical Marijuana Authority (OMMA). This organization is responsible for licensing, regulating and administering the state’s cannabis program in accordance with state law. Patients can enrol by registering online. Online applications for medical cannabis in Oklahoma are open to adult patients, minor patients, caregivers, temporary patients, businesses and physicians.